I haven't read any Julie Kagawa book yet, meaning I am new to the The Talon Saga. I've been dying to buy the books in the series since I first saw the flaming color theme of the cover of Talon, the first book in the series... It caught my attention immediately. But I hesitated, because I remembered the adage "Do not judge a book by its cover." I liked the concept of the story because it reminded me of Jason Hightman's The Saint of Dragons, which I liked very much but only spanned of 2 books and I was looking for more... So fast forward to the recent years I am really itching to buy the aforementioned series. Maybe the release of the cover of the third book in the series called Soldier will finally make me. There are hardcover copies of the first two books in a nearby bookstore after all. Will this be a start of a new intimate relation, or will this fall to yet another unfulfilled love or infatuation? 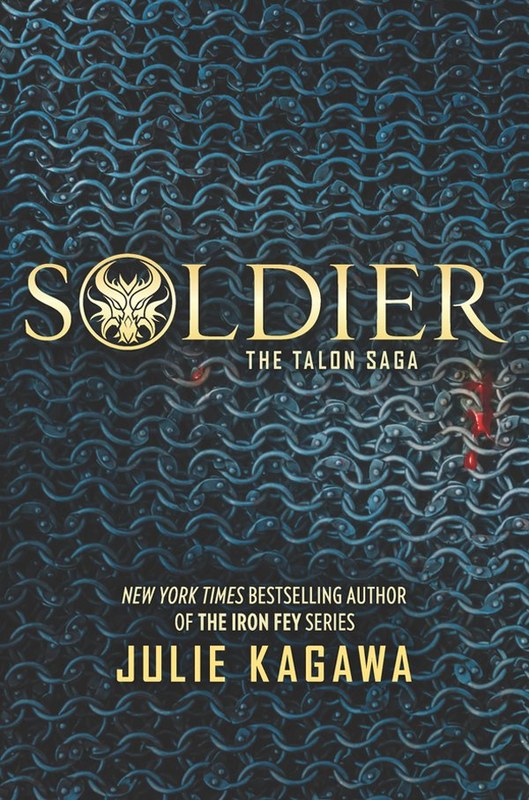 Check out the cover of Soldier by Julie Kagawa. Soldier by Julie Kagawa will be released on April 26, 2016.